indirect partners that lead to real relationships and increasing profits. Customer experience is more important than ever. Your business partners want an intuitive, easy-to-use interface they can use anytime, anywhere. Our mobile-responsive design gives partners instant access to every feature available from their laptops, including file uploads and notifications. Security is priority one, so all connections are fully encrypted and the latest authentication protocols supported. Self-service is the name of the game, so everything from password resets to knowledge base search empower your partners and reduce the demands on your staff. You not only have to find new partners, you need to find the right partners. The digital age has posed many challenges and disruptions, taking down not only iconic companies but even entire industries. WinningEdge365 is designed to turn those challenges into opportunities. Remember, partners have a variety of options and it's essential that your program is relevant, rewarding and relational. Identify and onboard partners in a personalized and efficient way, utilizing automated workflows to deliver an amazing customer experience. And yes, we handle complex partner structures that include multiple locations and multiple user roles. You want to have insight not only into your internal pipeline, but into your indirect channel partner's pipeline. Deal registration by the partner reduces channel conflicts and builds brand trust as the company demonstrates loyalty to the partner. The channel manager can offer opportunities to their partners--to be accepted or declined--or partners can register their own opportunities. Offered opportunities allow sophisticated collaboration between company and partner, including discount pricing arrangements. Although deal registrations are inherently valuable as channel 'contracts', partners can be financially rewarded in a number of additional ways through the Loyalty Edge module. Both company and partner can benefit from the collaborative development of a partner business plan. Through the business plan, expectations between company and partner can be clearly established. More importantly, the company can demonstrate investment in the partner by sharing best practices, marketing techniques, training, certifications and performance expectations. Since program tier benefits are often linked to partner performance, this tool can be of enormous benefit to both parties. As opportunities are registered and won, valuable performance analytics can be easily tracked throughout the channel. Getting the right collateral into the right hands at the right time can be a major hassle. With our asset management system, you can easily upload documents for immediate access by your partners--always up-to-date and available for download. Designate documents as white papers, case studies, product sheets, installation guides, marketing collateral--you name it. Your partners will be able to easily find what they need utilizing a variety of filters. And, yes, you can make your marketing collateral and other documents tier-specific to deliver precisely what's appropriate for that partner. Your program agreements, terms & conditions and guidelines are essential for the smooth operation of your partner channel as well as for meeting your internal legal requirements. Our easy contract versioning system enables you to easily create, update and distribute contracts. Contracts can be unique by program or by program tier and be distributed with the click of a button. You designate which partner roles can accept a contract upon login, and other users are locked out until the contract is accepted. You'll have full visibility into which partner contact accepted the contract, and when. Your partners need training to deliver the absolute best quality product to your end customers. WinningEdge365 API provides for integration with your favorite LMS system. Our solution allows users to request training funds, tracks their progress, sends notifications, and gives visibility into the certification status to the company and channel. Our solution gives you the power to define rules directing the number and types of certifications required to achieve a certain accreditation. Certifications and accreditations can be used in lead routing, opportunity routing, program tier qualification and reward earning rules. No system would be complete without a robust notification engine to keep everyone informed. Notifications can be company-level ("Platinum Accreditation Achieved!") or individual-level ("Sweepstake entry earned!"). Each user can specify the types of notifications they want to receive, and whether they want to only see them in the partner portal or get email and/or SMS messages as well. Partner owners and administrators can easily see the entire history of notifications and can apply numerous filters to track specific trails of events. WinningEdge365 comes with an abundance of out-of-the-box reports, charts and dashboards. 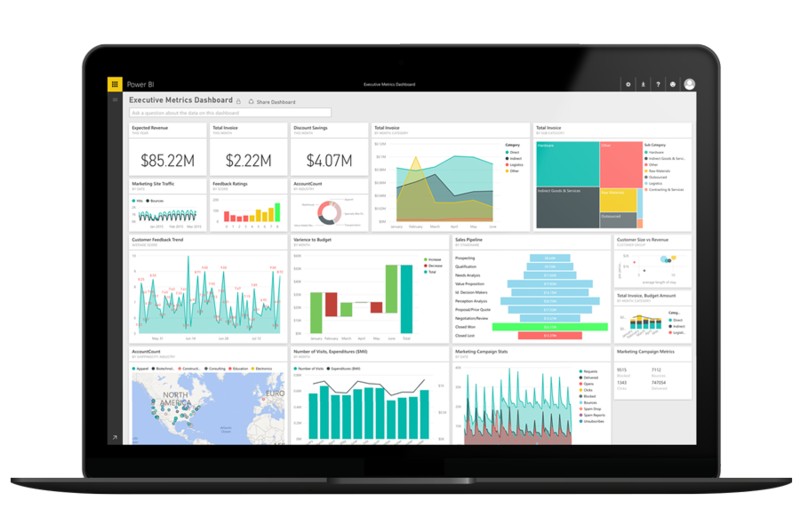 Microsoft Dynamics 365 provides an easy and intuitive interface for generating custom reports, charts and dashboards. Both channel manager and partner will be able to track all types of activity, from partner performance to ROI. One of the greatest benefits of the platform is the option to combine CRM + PRM into a single platform, allowing a true 360-degree view of the entire enterprise. No other system anywhere can provide that depth of native reporting and analytics. Now that's true digital transformation.